Riders/drivers must always be in possession of their driver’s licence. In addition, short-term non-residents and foreign residents who do not have a valid Japanese driver’s licence are required to have in their possession a valid international driver’s licence. Alternative rules apply for certain nationalities. Please see the Licence Requirements page for more details. Riders/drivers must also have in their possession at all times, vehicle-related documentation, including all vehicle insurance details. The motorcycle rider and passenger are both required to wear a helmet at all times. 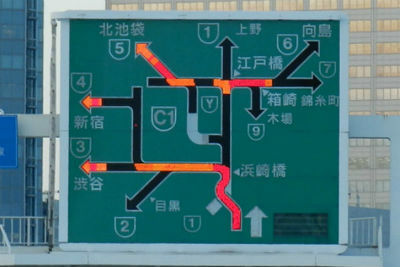 Traffic moves on the LEFT side of the road in Japan. Right of way is always given to pedestrians and bicycles. It is required that all motorists make a complete stop at all crosswalks if pedestrians are crossing. It is required that all motorists make a complete stop at all railroad crossings, regardless of whether or not there are warning lights or barriers. Do not turn at ANY red lights. Flashing red lights may be driven through with precaution, however it is required that you come to a complete stop first and then the give right of way rule applies. This usually occurs at night in rural areas. If the line is dashed, you may overtake the car in front of you. If the line is a solid white, you may pass but exercise caution. NEVER cross a solid yellow line. If there is a dashed line on your side of a yellow line, you may pass, but use extreme caution. Also, as a general rule, there is no passing allowed in a tunnel. NEVER DRINK AND DRIVE…PERIOD!! Driving after drinking ANY alcohol, even a small amount, is strictly prohibited in Japan. Severe penalties such as imprisonment with hard labor or fine, as well as suspension or cancellation of your driver's licence will be enforced. Also driving under the influence of alcohol will nullify your insurance coverage and could lead to costly consequences. If a death results and the driver/rider is found to be under the influence of alcohol, sentencing will be severe. 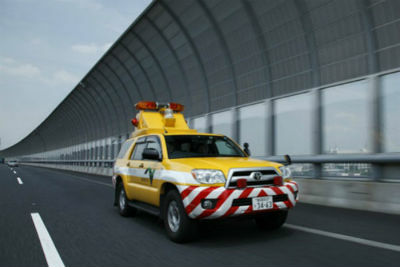 Please observe all traffic signals, signs and road markings while using the roads in Japan. 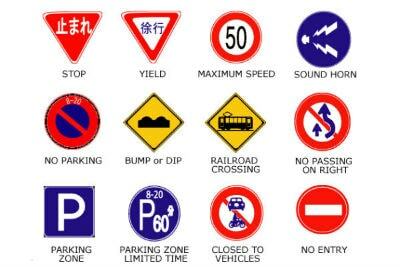 Japan uses world-standard traffic symbols and most are fairly intuitive. 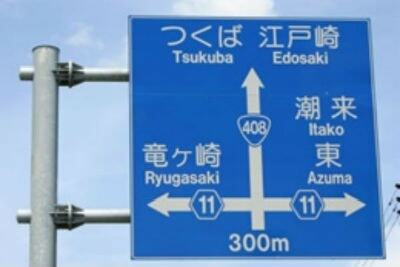 Major roads and highways are almost always well sign-posted in both Japanese and English. However, when you really get off the beaten track, English signposting may become less common, but that's all part of the adventure! As with anywhere you ride a motorcycle, use common sense and ride carefully. Headlights should be on at all times when riding. 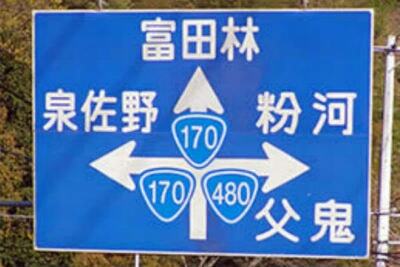 Take special care when turning left or right until you are familiar with driving in Japan. Take care when entering tunnels. In rural areas they are not well lit and also very narrow. Be careful of open drainage gutters at the roadside. Designed to handle heavy rainfall during typhoons, these open gutters are extremely dangerous for motorcycles. They are becoming less common, but they still exist in some rural areas. At intersections, if someone flashes their headlights it can sometimes mean 'please go ahead', but at other times can mean 'thanks, I think I'll go first', so be extra careful. Using the 'shuto' (Tokyo's elevated highway system) can be quite challenging. On-ramps and off-ramps merge from both the left and the right and are quite frequent, so cars tend to appear from all sides and at speed. 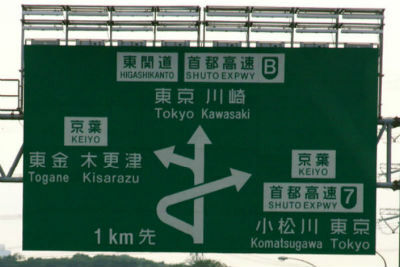 In addition, the highway often splits off into different directions quite suddenly and the number of signs can be overwhelming. It's all a real buzz, but our advice is to stay alert and keep your speed down. Keep an eye out for people walking by the roadside, especially in rural areas and always slow down as you pass through local villages. Local roads rarely have shoulders, so beware of cars stopped or parked right in the middle of the road. Japanese drivers generally are not aggressive. However, just like in every other country, drivers will sometimes speed, tail you, overtake dangerously, pull out directly in front of you and run red lights, so stay alert. On the other hand, they will also politely stop to let you pull out in front of them and will pull as far over to the left as possible (sometimes putting on their left signal) to let you pass. A common urban motorcycle accident you should be aware of is called the "Sankyu Jikou", or literally translated as the "Thank you Accident". It occurs during a traffic jam. The driver just ahead of you stops in front of a side street to let a car into the traffic. Unfortunately, neither the car turning nor the driver waving him through know about you coming up the road from behind. Then, BAM! And you're the one bleeding because of it. Be very careful when you see a car in front of you not moving like the cars ahead of it. It is not uncommon for drivers to be pulled over in Japan. Police patrol around the clock, especially in and around the cities. 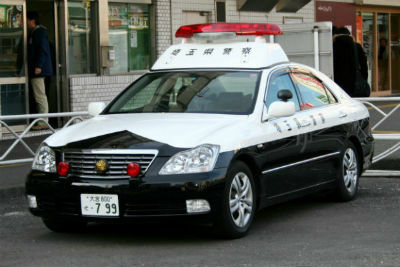 Usually, the police vehicle will be a big, obvious, black and white car with a large signboard and flashing red lights, although unmarked police cars do also patrol. Please note that most traffic police are on motorcycles and are very stealth. If you are pulled over by the police, the officer will proceed with the normal drill of asking for your licence, vehicle registration / insurance information (Japan Bike Rentals will supply you with all necessary vehicle documentation). Be prepared for a long lecture (in Japanese of course). In Japan, being shameful and apologizing is considered a sign of sincere remorse when caught doing something wrong. You may be lectured for up to an hour, whether you understand it or not, on things that may or may not have any relation to what you did. The more apologetic you look, the shorter the lecture will probably be. If you do commit a minor traffic violation, you will probably be ticketed. If you are ticketed, you will be issued a blue "Violation Ticket" and a fine, which you will be required to pay within 7 days of the date of issue. Payment must be made at a bank or post office as designated on the ticket. 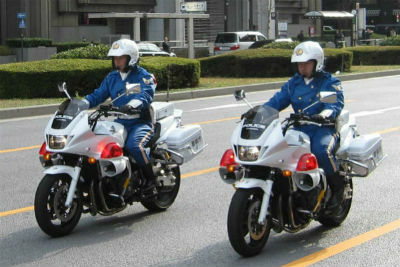 Please notify a Japan Bike Rentals staff member of any traffic violation tickets you receive. We will be able to provide assistance in handling this situation if necessary. If a ticket is not paid within the stated 7 days, the rider will be charged for all expenses that Japan Bike Rentals incurs related to the matter, including an administrative handling fee. All charges will be charged to the rider’s credit card. *Note: Police vehicles are not the same as the large, yellow highway patrol vehicles that you see on the highway. The yellow vehicles are primarily patrolling for breakdowns, debris, etc. They are not there to pull you over. They generally drive at or below the speed limit, so if you do pass them, do so slowly. Watch what other drivers around you are doing, just to be safe. Helpful tip: If the violation is minor, you may be able to avoid a ticket all together with a little charm. From experience, if you are pulled over, the best course of action is to give the officer your nicest smile and greet him with a big, friendly, "Hello!" (in English). If the violation is minor, Japanese police generally prefer to avoid the hassle of handling a situation in English, so they will often wave you on your way rather than ticket you. Always be courteous and remember the word "sorry" goes a long way in Japan. It is always best to pay to park your bike either in a parking lot or in a metered parking space on the street. Use extreme caution when parking on sidewalks as you may find a parking patrol officer attaching a pretty little ticket to your Japan Bike Rentals motorcycle. Parking tickets in the Tokyo area are about $100. If your bike was illegally parked, and is missing when you return to it, there is a possibility it was impounded, although uncommon. 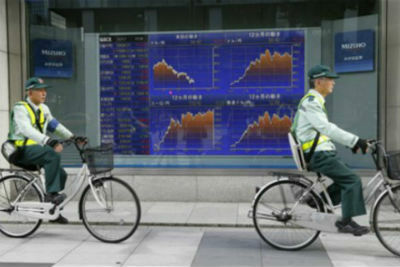 Don’t panic, please call Japan Bike Rentals. 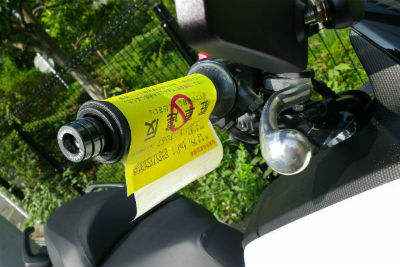 If you find a parking ticket attached to your bike, please remove it and keep it with you and give it to Japan Bike Rentals upon your return. Japan Bike Rentals will handle the processing of all parking violations and all charges will be charged to the rider’s credit card. So again, play it smart. Park in the designated parking zones, particularly when in large cities. To call the Japan Automobile Federation (JAF), Dial #8139 from your own phone or alternatively use a roadside emergency phone. If you use the roadside phone, make sure you ask for JAF, as there are a number of roadside management companies available to choose from. Location of the disabled vehicle (proximity to prominent building or landmark, place name, address, etc. 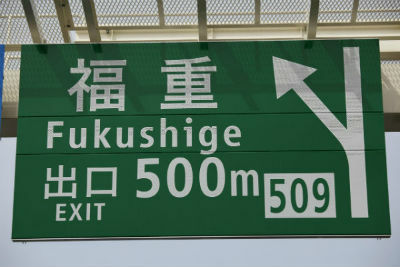 If calling from an expressway, make sure you provide them with the name of the expressway, the direction in which you are headed and if possible the distance from the last exit you passed). Model and color of the vehicle. Nature of trouble or request. In some cases a solution may be provided over the phone. If the bike cannot be repaired on the spot, you will be taken with the bike to the nearest repair center. *In all cases, please notify Japan Bike Rentals that a problem has occurred. If possible, move the bike out of the road and to a safe place to prevent further accidents from occurring. If possible, rescue/treat any other injured persons. Call an ambulance. Dial 119. Give them the location of the accident, the number of injured persons and their condition. If you are unable to do so, ask someone else for help. Call the police. Dial 110. Give them the location of the accident, the number of injured persons and their condition. If you are unable to do so, ask someone else for help. Contact Japan Bike Rentals as soon as you can. *Do not leave the scene of an accident without making these calls, as it may be seen as a case of “hit-and-run". For insurance purposes, it is very important that the police are contacted. If damage or injury is caused and the police are not contacted, you will not be covered by insurance. 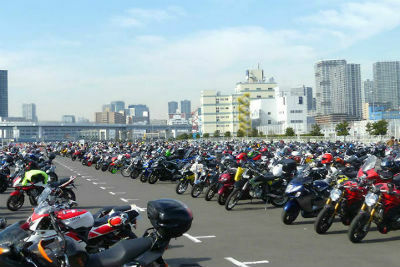 Japan is one of the safest countries to visit, however motorcycle theft is not uncommon. Always remember to lock your rental motorcycle with the lock provided by Japan Bike Rentals. In the case of theft, please contact Japan Bike Rentals immediately. You can also contact the police by dialing 110 where you will be able to speak to someone in English.